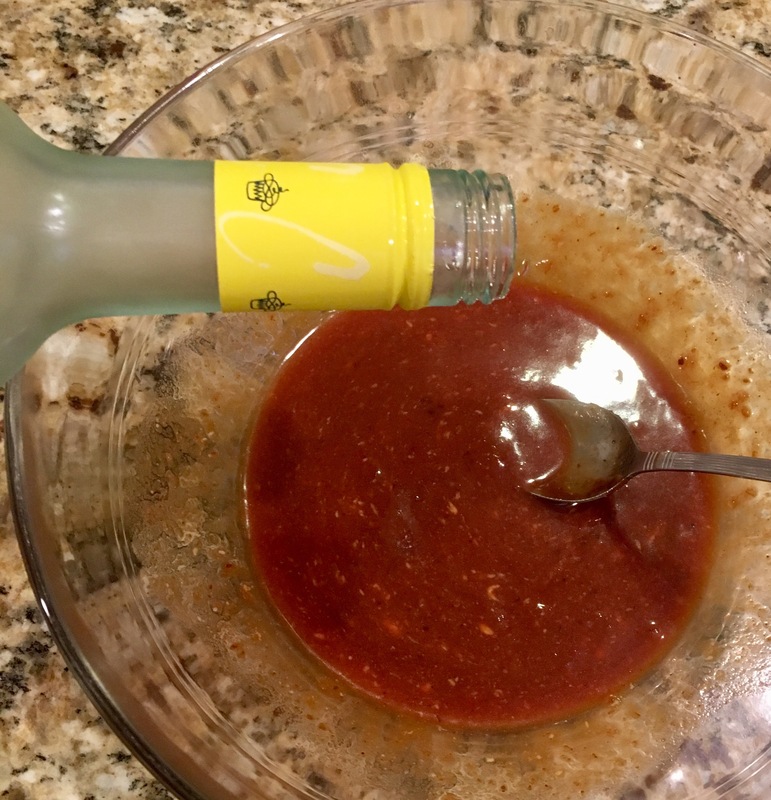 “Toss Sauce” – Eat, Drink, and Go! 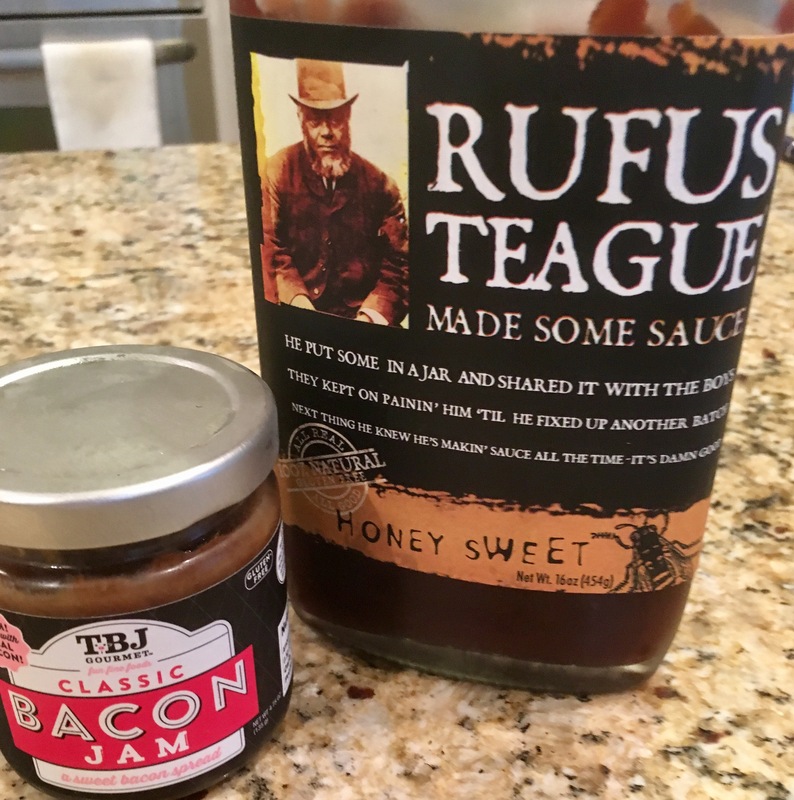 While they’re roasting, I mixed some Rufus Teague Honey Sweet BBQ and some Bacon Jam (you should always have this stuff on hand) in a bowl. I added honey mustard for extra tang and some white wine to thin it out. 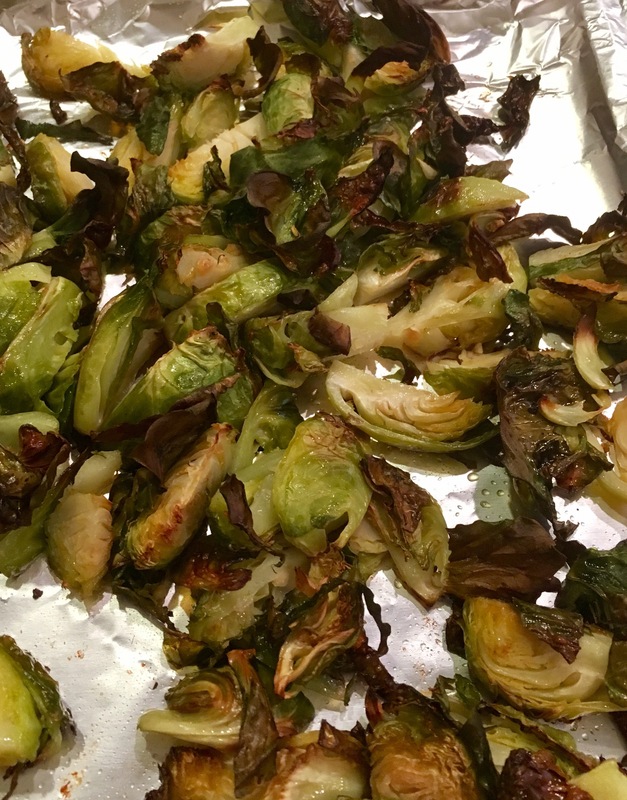 Mix up til smooth, then added the roasted Brussel sprouts and toss away!! 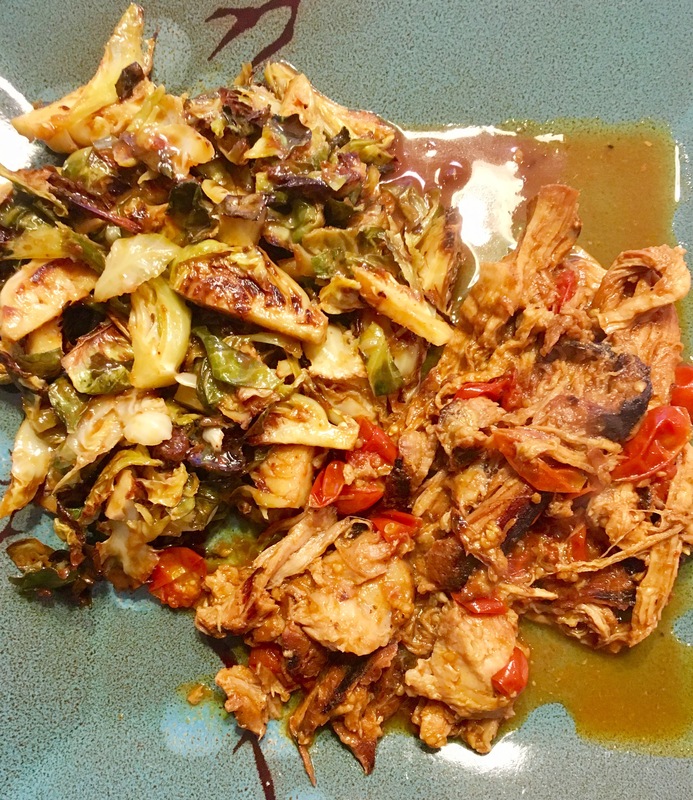 To go along with, I re-braised the leftover pork that I grilled the night before after a long, slow cook in the oven. 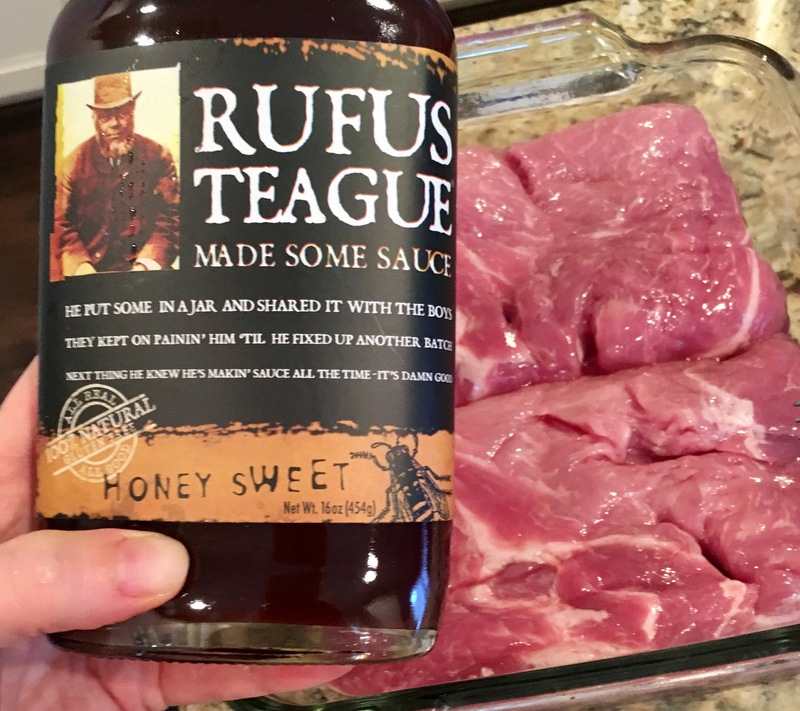 For the original dish, I used two hunks of boneless pork ribs, seasoned them up and added BBQ sauce and white wine. 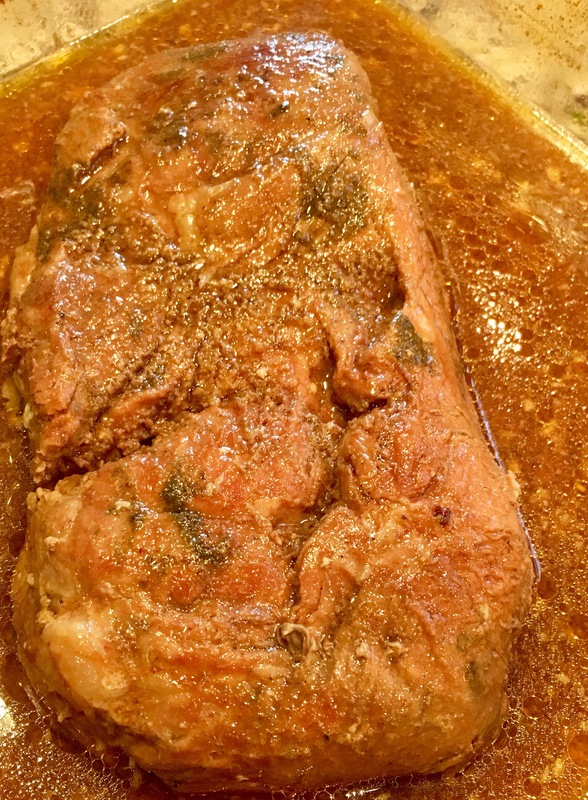 I slow cooked in a BBQ marinade of the BBQ sauce, honey mustard, white wine, and some jerk seasoning in the oven on 250 for about 3 hours. Then I slathered on some more of the BBQ sauce and fired them up on the grill. Got those grill marks perfect!! Ahhhh!! 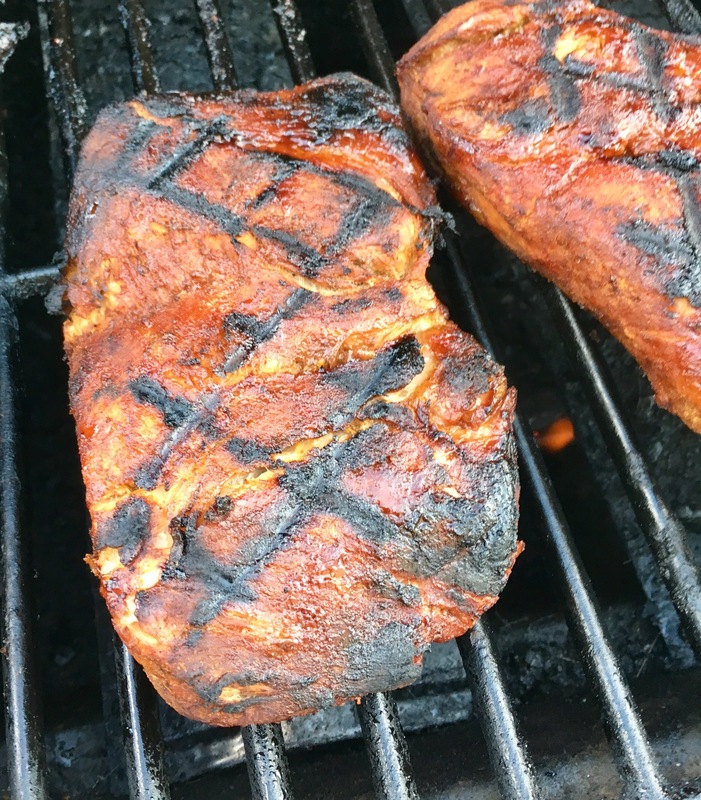 Since the pork had been braised, you just need that firey crust and the lovely grill marks! 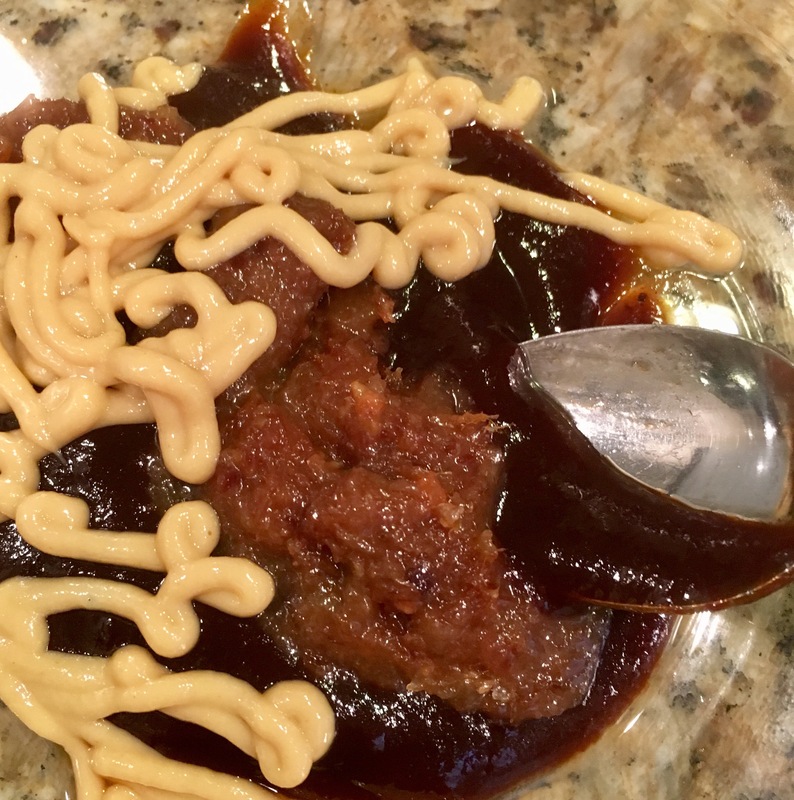 Used these leftovers for my re-braise last night. 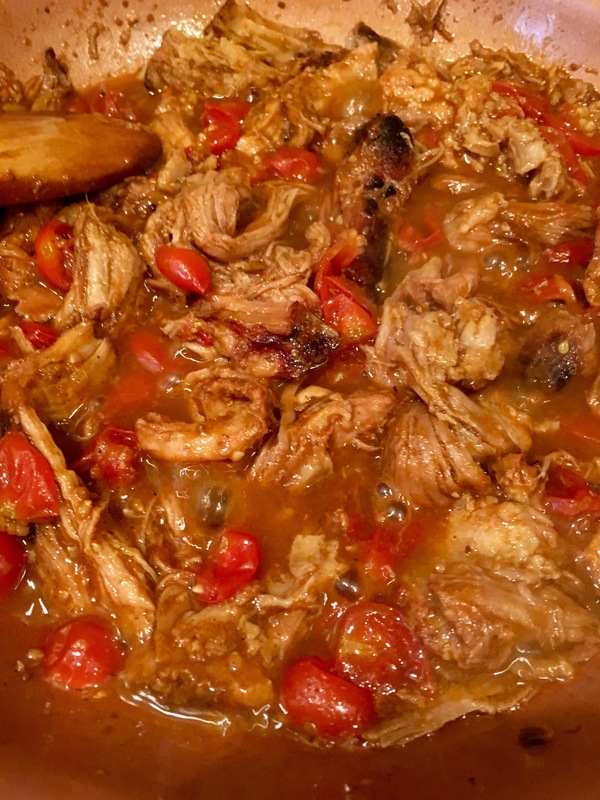 I simmered the chunks of pork in a pan with some more BBQ, tomatoes, and white wine. It was even better the second night! 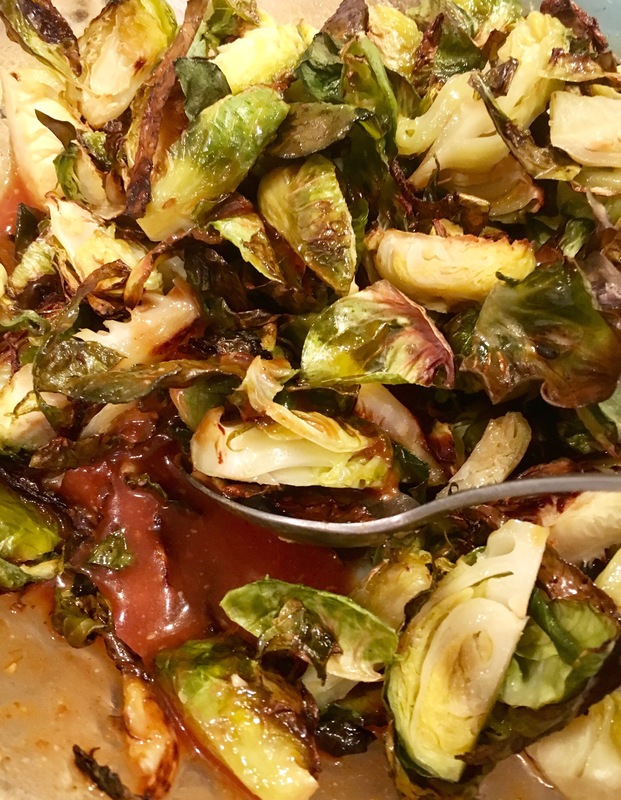 Paired the pork and brussels side by side in a BBQ-y mess of tangy sweetness. Mmmmm! 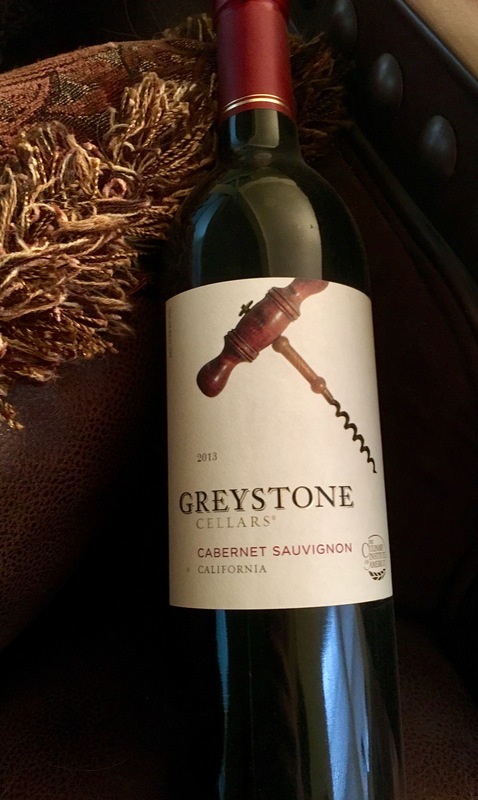 And a nice Cabernet Sauvignon by Greystone (affiliated with the Culinary Institute of America in California, where I think they make it, and distributed by Markham Vineyards right across the street). It’s good and very inexpensive.